European Explorer is proud to offer you a secure online booking environment for a select number of hostels in ? ?d?, Poland. Below you will find a brief description of each featured hostel in ? ?d?, Poland. Simply clicking on the 'more information' link will transfer you to further information such as room types offered and accommodation rates for your selected ??d? Hostel. From here you will be able to check availability and make a secure hostel reservation for when you arrive in ??d?. European Explorer is proud to offer you a secure online booking environment for a select number of hostels in Lodz, Poland. 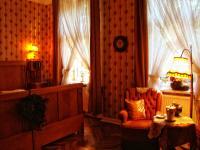 Below you will find a brief description of each featured hostel in Lodz, Poland. Simply clicking on the 'more information' link will transfer you to further information such as room types offered and accommodation rates for your selected Lodz Hostel. From here you will be able to check availability and make a secure hostel reservation for when you arrive in Lodz. European Explorer is proud to offer you a secure online booking environment for a select number of hostels in Łódź, Poland. Below you will find a brief description of each featured hostel in Łódź, Poland. Simply clicking on the 'more information' link will transfer you to further information such as room types offered and accommodation rates for your selected Łódź Hostel. From here you will be able to check availability and make a secure hostel reservation for when you arrive in Łódź.